A pink home interior usually promotes feelings of caring, comfort and even sedation. With its gentleness, pink clams the most aggressive men and tiny babies. Traditionally seen as a feminine color, pink will always be associated with little girls' and babies' rooms. However, when you increase the red and reduce the white, the shade hots up tp evoke feelings of high-intensity emotions. I'd associate these with pinks like magenta, fuchsia and scarlet. 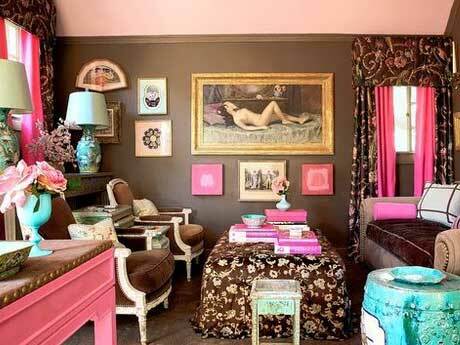 Pink is the color that most ladies claimed as their own and it is a color to dress up your room. Unless it's a little girl's room, avoid the pink florals if you want to incorporate pink into a masculine space, or one that's shared with a masculine other. A good approach is to keep the pinks to hotter or bluer shades and only infuse them in block colors - no pretty patterns. 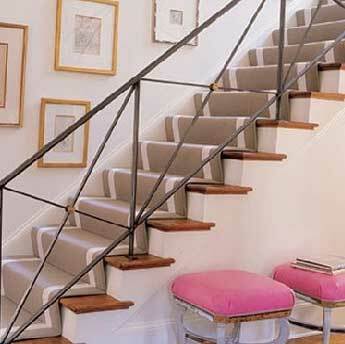 Thus, sofa or floor cushions are a great idea to add just a taste of pink without it becoming overkill. If you can't resist pattern, keep it geometric as are stripes and block shapes. 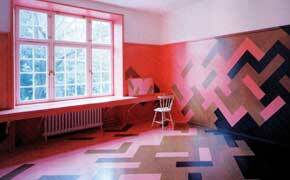 Oriental patterns, where pink makes only a subtle appearance, work well. Alternatively, pair your pinks with stronger, more masculine shades to take the girly edge off a pink home interior. Chocolate brown is a perfect match with pink as are neutrals with some intensity; deep navy blues and aubergine and grape. Then there's orange, yellow, green and white. Pink also work with other tones of pink if you're after the girly perspective. Avoid other bright shades such as limes and aqua blues, unless you thrive in a bright environment. If the paler pinks are you thing, you'd want them to look contemporary. So it's good to limit them to accessories such as a mohair throw rug or linen cushions. Keep the color solid, steering clear of pretty designs. 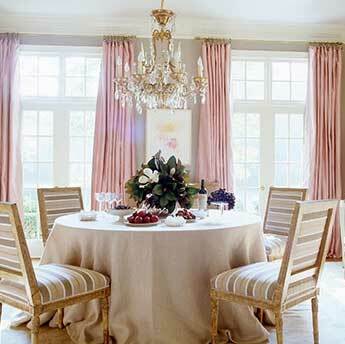 For example, a glass jar filled with soft pink shells or a vase of pink peonies is enough to make a pink impact. 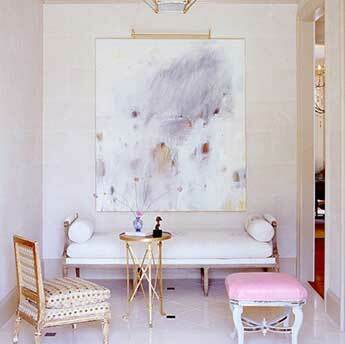 Pink works well in girls' rooms but touches of it go well in bedrooms, lounge, dining or even the common rooms. By keeping the color scheme warm and earthy, the result can be sophisticated and contemporary.